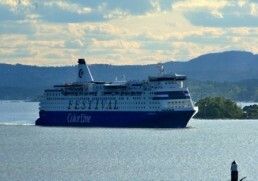 I Arrived in Tallinn in Estonia from Helsinki in Finland by ferry for 27 euro’s (£22). It took 2 hours 25 minutes. I bought my ticket from the Viking office the day before departure. I found the Viking service to be reliable and of good service. Estonia is a country in Northern Europe, Estonia’s capital is Tallinn on the coast of the Baltic Sea. 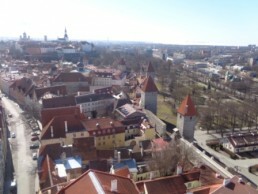 Tallinn is known for its preserved Old Town, museums and the 314 metres high TV Tower’s observation deck. 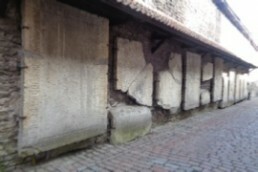 It retains its walled, cobblestoned Old Town which is home to an array of cafes and shops. Its Estonian History Museum is dedicated to the country’s 20th- century history, and Tallinn’s Gothic Town Hall is among the oldest in the Baltic region. Tallinn’s old town is beautiful, with a real medieval feel, I honestly believe this is the best medieval town. Hotels are a very reasonable price in Tallinn as was everything else in Tallinn around. Tallinn is a city with a lot to offer from exciting museums, great nightlife and cobbled streets packed full of coffee bars to sit back, relax and enjoy taking a step back in time. The food is of good value, you should expect to find a lot of pork offerings such as pork ribs, pork neck and pork loin, as well as different pasta and pizza dishes. 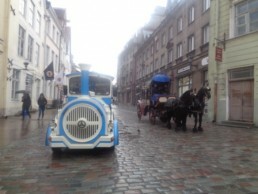 Tallinn is a very nice medieval city, which really is like taking a step back in time. Tallinn certainly has enough to keep you entertained for a couple of days. 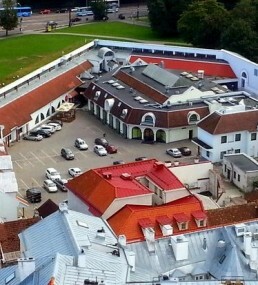 Tallinn’s Airport is approximately 5 km from the old town. Bus no. 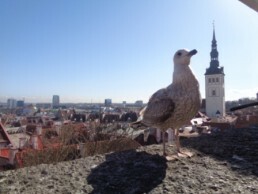 2 takes you from Tallinn’s airport to the city centre and port. Single journey tickets can be bought in cash from the driver for 2 euros. The bus departs from the airport’s lowest level. A taxi stand can be found just outside the arrivals hall. The fare from the airport to the city centre is about €10. Come out of arrivals and walk straight for 15 minutes and you will see the old town. Also, a few bike taxi’s will take you but I never used them and forgot to ask a price. Bus no. 2 will also run this route for 2 euros. Tallinn centre together with the Old Town, the harbour, and the modern City Centre is easily explored by walking. In Tallinn Old Town there really isn’t any other way, since the cobblestone streets are not ideal for cycling or anything else besides walking and no public transport runs through the old town. However, a couple of trips to locations outside the centre may require some means of transport, buses, trolley buses and trams are available. Click the Logo for the great company I used for my Tallinn card. The Tallinn Card gives you free entry to over 40 of Tallinn’s best attractions, museums and tours, unlimited free use of public transport and over 30 bonus and discount offers. 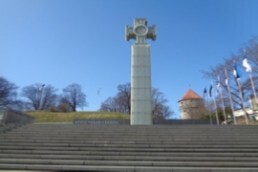 If you are in Tallinn for a few days I really would recommend getting the Tallinn card as each attraction itself can cost around 8 euros (£6), 5 attractions and you’ve saved. My perfect hotel in Tallinn, Estonia. Click, the image for link. Highly recommended for the pools. Hostel’s in the centre of the old town of Tallinn can be found for around 10 euros (£8) per person. 3- star hotels with 2 sharing a double room with breakfast can be found from around 37 euros (£30). 4- star hotels with 2 sharing with breakfast and spa facilities can be found for around 63 euros (£50). If you’d rather, you could find a 5- star hotel for 500 euros (£395). Restaurants are all over Tallinn with plenty of choice in the centre near the city hall. If you were looking for a 3- course meal in a mid- range restaurant you could expect to pay 28 euros (£22) and a beer for 2 euros (£1.50). If you were looking for a single course meal in an inexpensive restaurant you could expect to pay 6 euros (£5). For nightlife in Tallinn, look for the Mad Monks pub crawl, costs 15 euros (£12) for unlimited beer and cider during Power Hour in the hostel bar, discounts on all shots in the hostel bar, free welcome shot at every bar you visit and free entrance to Tallinn’s biggest night club. This pub crawl really makes for a good night out in Tallinn. A lot of museums are free with Estonia’s Tallinn card, so if you plan to see a lot of museums and sights in Tallinn it’s worth getting the Tallinn card. 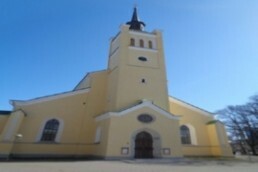 St. Nicholas’ Church is a medieval former church in Tallinn, Estonia. It was dedicated to Saint Nicholas, the patron of the fishermen and sailors. The museum of occupations is dedicated to the occupations that took place between 1939 and 1991 and their impact on Estonia and the residents of Estonia. 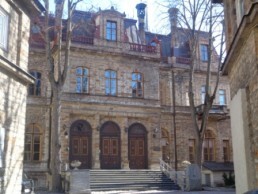 The Estonian History Museum is a museum about the history of Estonia in Tallinn. It was initially established by chemist Dr Johann Burchard who ran the town hall pharmacy known as the Raeapteek. The Estonian Open Air Museum is a life- sized reconstruction of an 18th century rural/fishing village, which comes complete with church, schoolhouse, several mills, a fire station, twelve farmyards and net sheds. Patarei Prison, a Soviet prison from 1919 to 2004, now abandoned. 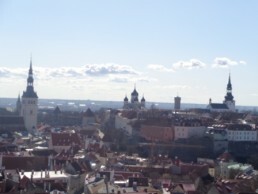 Toompea is a limestone hill in the central part of the city of Tallinn. 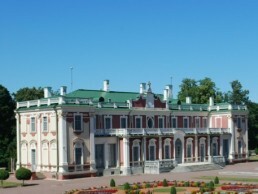 Kadriorg Palace is a Petrine Baroque palace built for Catherine I of Russia by Peter the Great in Tallinn, Estonia. Both the Estonian and the German name for the palace means “Catherine’s valley”. 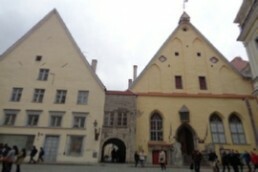 The Tallinn Town Hall is a building in the Tallinn Old Town, Estonia, next to the Town Hall Square. It is the oldest town hall in the whole of the Baltic region and Scandinavia. St. Olaf’s church, which was the tallest building in the world from 1549 to 1625 standing 159 metres tall. 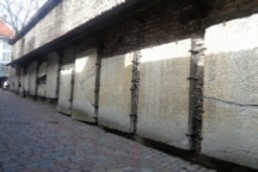 St Catherine’s Passage is one of the most medieval looking alleys in the whole of Tallinn, complete with giant tombstones attached to the walls. Enjoy the view from the roof of Linnahall, the Soviets built this concrete thing for the 1980 Moscow Olympics. The idea was to demonstrate the superior concrete pouring skills of the Soviet Union to the Western powers. 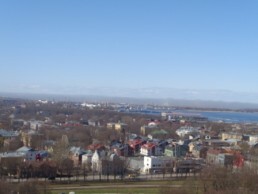 The 2 viewing platforms are perfect for a rooftop view of Tallinn. Take a free walking tour, yes, It’s free (tips excepted but not expected). Kadriorg Park, If you’re lucky, you might even see the President of Estonia. His palace is located here. After a few days in Tallinn, Estonia I then headed for Riga in Latvia.